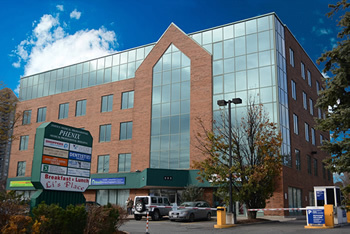 TORONTO, December 17, 2015 /CNW/ - Mohawk Medical Properties REIT, a private real estate investment trust, announced today it has acquired another class-leading, full service, medical office building in the City of Ottawa, Ontario. Mohawk is excited to expand its portfolio’s regional exposure to Canada’s Capital. The Phénix Professional Building is occupied by 32 physicians including general practitioners, orthopaedics, specialists and medical services including lab, x-ray, pharmacy, hearing clinic and foot clinic. The property is situated on Montreal Road, an east-west artery linking the neighbourhood directly with Rideau Street and the downtown core. Mohawk Medical Management Corp. will bring its expertise in medical office building management to provide specialized professional management services to tenants and patients at the building. The REIT also announced that its rapid expansion continues with two more medical properties under contract with plans to close in the next 30 days. Mohawk is a Toronto based private REIT specializing in healthcare real estate and committed to exceptional returns through reasonable risks. Sean Nakamoto and Andrew Shapack, whose combined track record includes 71 medical office building acquisitions, formed Mohawk in September 2012. The firm engages in acquisition, property management and asset management of Canadian medical office buildings financed through syndication to LP investors.